Judges 4 reads like a Shakespearean tragedy. I think it might be a more popular story if it wasn’t so heavy on the name-dropping, so I’ll try to tell it here with a bit more simplicity. The book of Judges outlines the many wars and conflicts the people of Isreal found themselves in after the exodus from Egypt. By the time we get to the forth chapter, Israel has been living under the oppression of King Jabin for 20 years. Jabin has a large army lead by his commander, Sisera. Rather than have a king, Israel at the time was lead by judges. One such judge was Deborah, who was also a prophet. Deborah called a man named Barak to lead the Israeli army against Sisera and Jabin, telling him that God would assure his victory. Barak was a little nervous about the whole idea, and told Deborah he would only do it if she came along. 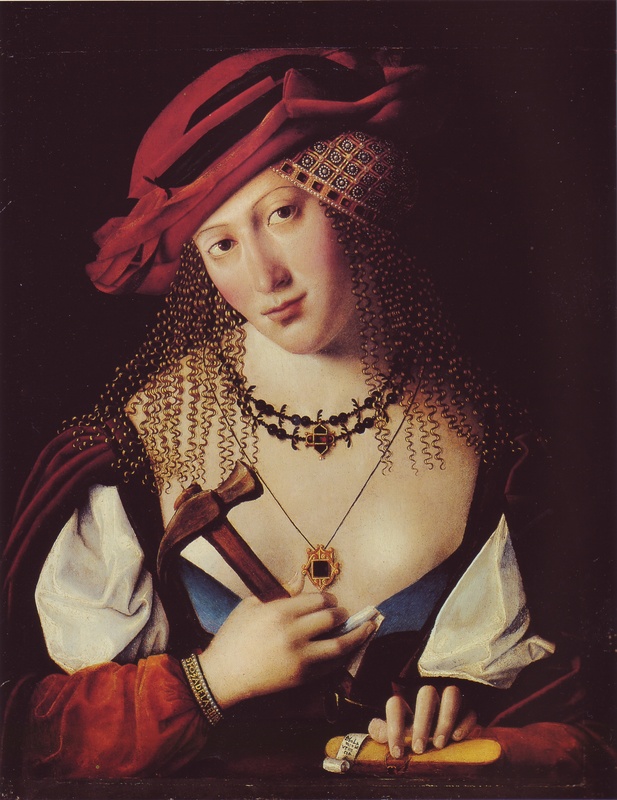 Deborah agreed, but warned that he wouldn’t be getting any personal glory from the battle. Specifically, he wouldn’t get to be the one to kill Sisera, the opposing general. Deborah promised that honor would go to a woman. So Deborah and Barak took the army to fight Sisera, and they won as promised. Sisera could see he was about to lose, and he fled. He came upon a tent and found a woman named Jael, whose husband had struck a peace deal with King Jabin. Sisera figured this deal meant the tent was a safe refuge, and Jael made sure he believed it. She welcomed him into the tent and found a rug for him to hide under. He asked for some water and she offered him milk instead. She was a great hostess, and Sisera asked her to stand guard outside the tent. “If anyone asks, tell them I’m not here,” he told Jael. The combination of milk and battle made him sleepy, and Sisera fell asleep on the floor. Jael quietly picked up a tent stake and a hammer, snuck over next to the sleeping Sisera, and jabbed the stake through his temple. By the time Barak showed up, it was all over. Jael showed him Sisera’s body lying dead on her floor, tent stake and all.